Employee Group Benefits - Murphy is my agent! Choosing a group employee benefits package that best fits the needs of your employees and their families is difficult but an important decision. At Murphy & Associates, first and foremost, we take the time required to hear the needs of your company as we develop strategies and solutions tailored to meet those desires. Understanding is certainly key as our dedicated professionals offer innovative solutions and provide a unique combination of insight and expertise. Rest assured, we will speak a language you and your employees will always comprehend through the planning, implementation and ongoing service of your benefits package. 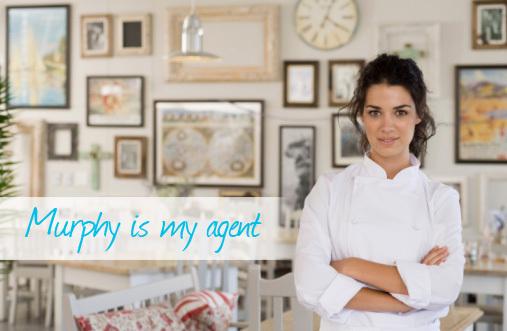 Murphy is my agent because... We love the extra personal service our company gets with Murphy & Associates. All questions are business are handled in a very timely manner. Murphy & Associates has a wonderful working attitude! Everything we request of them is handled expertly and in the most professional way. They are great at what they do! We feel very comfortable going to them with problems or questions and day to day business knowing they will manage it with ease. They treat us with priority and as a valued client.